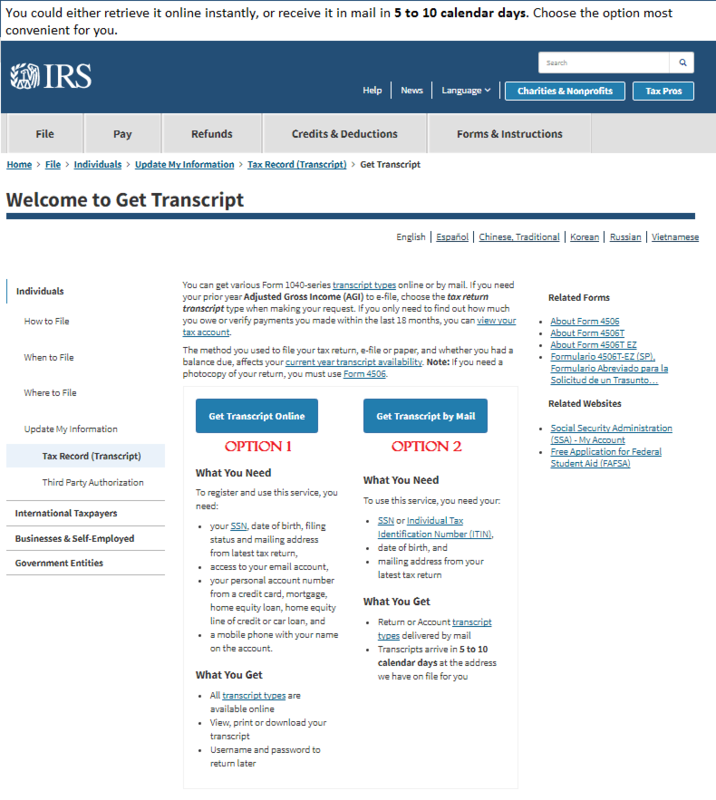 The IRS website has been updated, now you can get various Form 1040-series transcript types online or by mail. 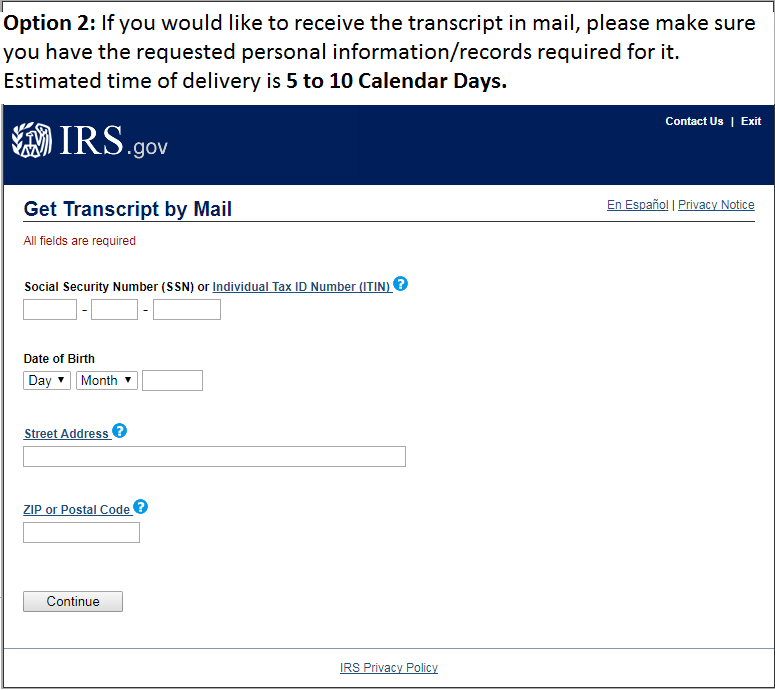 If you need your prior year Adjusted Gross Income (AGI) to e-file, choose the tax return transcript type when making your request. If you only need to find out how much you owe or verify payments you made within the last 18 months, you can view your tax account. Option 1: If you would like to retrieve it instantly online, pleasure make sure you have the necessary personal information/records. 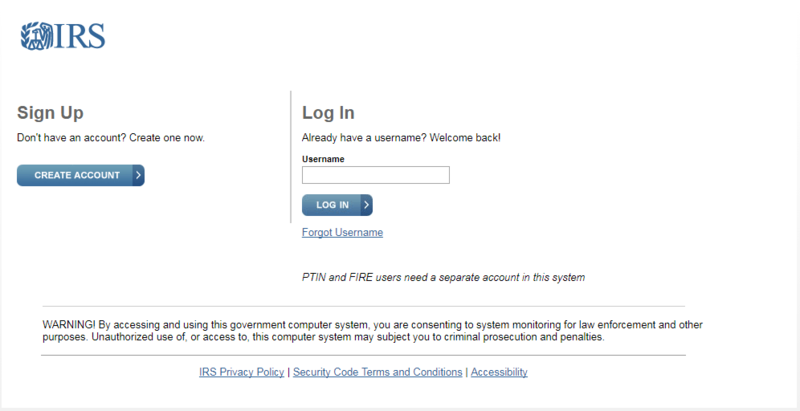 Login using your IRS Online ID, or Sign Up if you don’t have one. This entry was posted in E-Forms, FAFSA Process, Financial Aid Support Center. Bookmark the permalink. Post a comment or leave a trackback: Trackback URL.